Doggy Dentistry in Plymouth, MN? 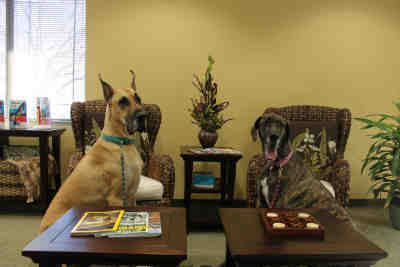 We love dogs at Life Smiles family dentistry in Plymouth, MN, but aren't qualified to do veterinarian work. Below is a picture of Kim showing Floyd's great teeth!